A total of 29 carrier-based aircraft have been delivered to India. Russia has completed the delivery of MiG-29K/KUB aircraft to the Indian Navy, Ilya Tarasenko, Director General of JSC Russian Aircraft Corporation MiG, told RIA Novosti on Feb. 13. 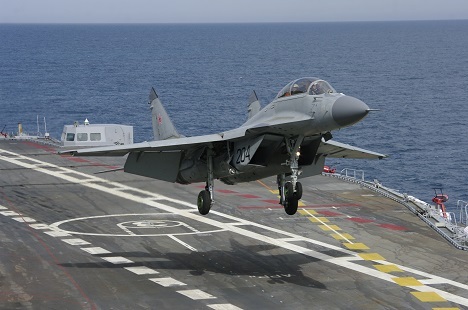 Russia and India had signed a contract for the supply of 29 carrier-based MiG-29K/KUB for the INS Vikramaditya in 2010, Tarasenko said. MiG-29K/KUB aircraft are 4++ generation multi-role fighters intended for air-defence missions of naval forces, as well as for gaining air superiority. They are also used for destroying sea and ground targets with high-precision guided weapons in all weather conditions. Tarasenko added that the company was ready to supply the new MiG-35 to India.